I have decided to take an indefinite leave of absence from this blog. It has been so much fun to write about my organizing ideas and organizing trends over the past three and a half years, and I hope people will continue to use the archives as a resource until I'm ready to return to blogging. Thank you for your loyal readership, and happy organizing! Colorful cord labels. If only you could figure out how to get them on the cords and look nice. Use a silver Sharpie and write directly on the cord instead. (Gasp!) A label maker. Label makers are awesome if you have a thing about neatness. Otherwise, they just cause you to lose time making the label, lose space by having to store it, and lose money to buy incredibly expensive label tape. 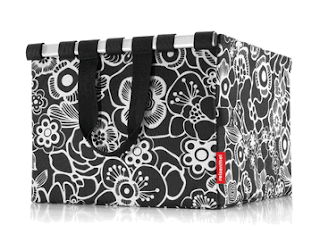 Fancy storage boxes with pretty designs. It's one thing to get a nice looking box for a desk top or open shelf. It's another to spend money getting perfectly matched boxes just to store things in your garage or attic. For utilitarian storage needs, get something basic - a clear, sturdy, stackable plastic box. Almost anything in the checkout line at The Container Store. They have tons of cute little products beckoning you from your place in line, but it's all clutter. I love to swim for exercise. Luckily, southern California weather being what it is, I can swim year round outdoors. Here's how I keep my gear straight so I can spend the minimum in time and fuss getting into and out of the water. The key is my dedicated pool tote bag. 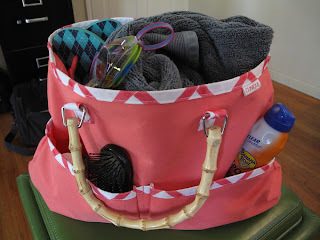 Not only is the bag only used for this purpose, but the supplies inside are just for the pool, too. In it are my Master Lock for the locker room, mini bottles of shampoo and body wash, a brush and sunscreen. Inside I keep my flip flops, goggles and a sun hat. 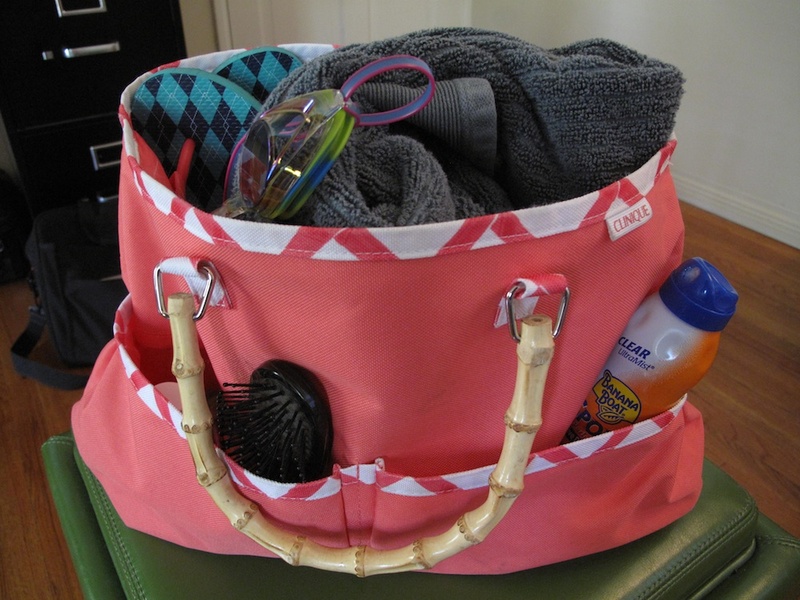 I add my towel, bathing suit and clean clothes to the main pocket. I also bring a bottle of water and a bag of almonds in my purse for afterward. When I get home, the wet stuff either goes in the wash or gets rinsed and put on the drying rack. The bag with everything else returns to my closet -- already packed and ready to go for next time! The August issue of Better Homes and Gardens published the statistic that 85% of people don't regularly launder their reusable grocery bags. They recommend cleaning bags in hot soapy water at least once a week. Upon reading that, I promptly threw mine in the wash and in the future will look out for bags that are easy to clean. Some of my plastic-y ones aren't easy to just throw in the washing machine. Have you switched out incandescent bulbs in your home for LEDs or CFLs? 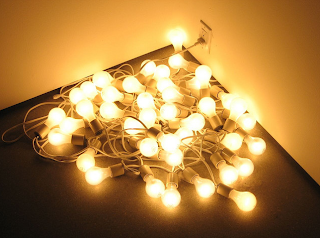 There was an interesting piece in the LA Times, which says most people who use the newer, greener types of bulbs prefer CFLs to LEDs mainly because of price even though LEDs have better light quality. I have some CFLs in my home, mostly in lamps as there are some sockets in my old apartment that don't work with CFLs, unfortunately. I've been kicking around the idea of have a one-word theme to my year next year, a la Gretchen Rubin. 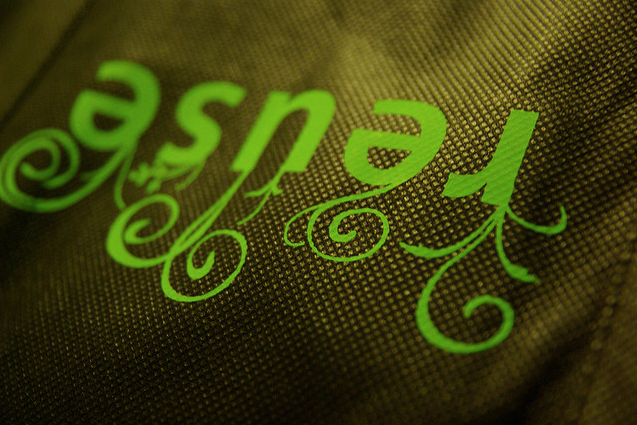 I think that word might be green.